Ana Marquez recently joined the 888poker family to promote the game of poker worldwide. 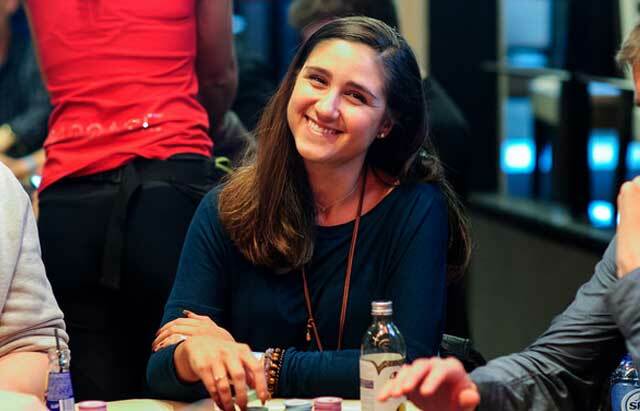 Ana Marquez was announced as the latest professional to join the 888poker ambassador ranks during this summer’s World Series of Poker, and the Spaniard is very much looking forward to having the opportunity to promote and help the growth of poker. Marquez has been a familiar face in poker for many years and previously used her role as a member of Team PokerStars Pro to help raise the awareness of poker in Europe. With the new shared liquidity regulations in the Spanish poker market in place, Marquez, alongside fellow Spanish 888poker ambassadors, Marti Roca de Torres and Fernando Pons, will have the chance to greater promote the game to their nation. Marquez returned home from Las Vegas off the back of a sixth-place finish in Event #28: $3,000 No Limit Hold’em – 6 Handed for $67,116 and gave PocketFives her thoughts on her new ambassador role. “I went to 888Live Bucharest back in February and had a great opportunity to meet the team. I connected well with everyone and was happy to get to understand why they call it the ‘888 family’,” said Marquez. The ‘888poker family’ has grown significantly in recent times with the addition of Roca de Torres and Pons alongside Sweden’s Martin Jacobson and Brazil’s Vivian Saliba. Marquez joins Saliba in the ranks of female 888poker ambassadors alongside Natalie Hof, Sofia Lövgren, and Kara Scott. With more being done to present women with the opportunity to get involved in poker, Marquez has seen an increase in participation but believes it is still a long process. “I think the number of women in poker is low, but since I joined the Poker League of Nations (an organization that advocates for female poker) as an ambassador for Spain, I have realized that there are a lot more women than I thought. With the previously mentioned shared liquidity legislation in effect across European countries, Marquez believes it’s a positive change and presents an opportunity to expand the market and diversity of competition with a greater online game selection and increased prize pools. All of which should aid in the expansion of poker in Spain, Italy, France, and Portugal. As for Marquez, her new role will present the opportunity to build upon the $1,259,531 live tournament cashes she has to date as well as her secondary ambassador role with the newly created ‘No Limit Gaming’ stable alongside players such as Fedor Holz, Steffen Sontheimer, Manig Loeser and Stefan Schillhabel. “The next twelve months are looking pretty busy.” said Marquez, “There are so many live stops this year it’s crazy! I will be traveling a lot and be working on some other projects, but I’m excited about the work that’s coming. “I like the concept of No Limit Gaming and creators of this project. I think that opening up poker to the eSport’s market could become another significant outlet for the poker community,” said Marquez. Marquez will have the opportunity to join her fellow ambassadors on the upcoming 888poker LIVE tour stop in London this November.